Are you searching for Best Makeup Tutorials? Do you need a step-by-step guide? It’s really simple, actually! We will tell you how to apply makeup perfectly and you will also get detailed instructions. Questions such as what are the Best Makeup Tutorials?, how can I do makeup for a party?, how can I do makeup for wedding?, how can I apply makeup perfectly? are often asked by ladies. This article comprehensively explains the hot trend right now on how to easily do your own makeup [face, eye, and lips] with Step-by-Step makeup tutorials to make your look more polished every day. “Makeup as the name implies simply involves the process of making a face and body look more beautiful, dramatic and ceremonial.” Below is a list of makeup tools and their uses for you to easily apply makeup and look gorgeous. How to Do Makeup [Step By Step Tutorial for beginners]. First of all, keep your face clean. Apply a moisturizer if you have any dry skin. Apply foundation that matches your skin tone and blend outwards with a wedge. Apply your powder with a powder brush. Tweeze or arch your eyebrows. Use a brow pencil or brow powder to fill in your eyebrows. Apply eyeshadow primer on your eyelids. Apply your choice of eyeshadow color (you can use different colors to the outer corners of your eyes). Make sure you blend it very well. Line your upper eyelids close to your lash line with a liquid liner or pencil. Apply a little lip balm on your lips, blend in and wipe off with tissue. Line your lips with lip liner pencil and blend in. Apply a lipstick and blend outwards. Step back, take a proper look at your face and correct all smudges. Smile and apply blush powder on the apple of your cheeks, and finally, remember to smile often. 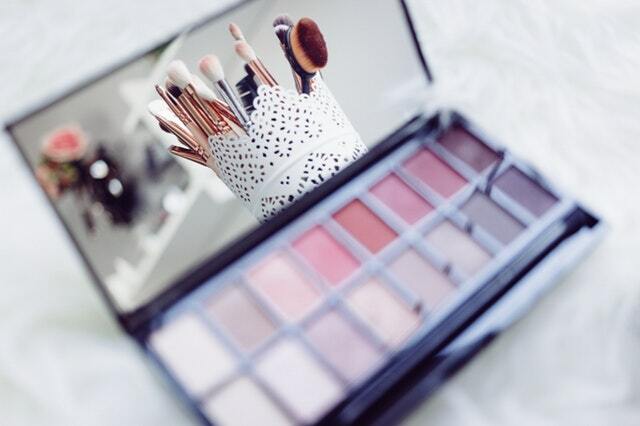 The above-listed makeup tools and materials are all you need to start doing your own makeup fast and easily. This Best Makeup Tutorials shows you the simplest way to learn how to apply makeup perfectly by following the simple step by step above to get familiar with it, get confused? Read over again or drop your comment let's help you out from where you got stuck.